Espousing the ethos of fresh and seasonal produce, D Empire is always on a constant quest to enrich your dining experience with a menu that draws strong inspiration from the continents of Europe that’s perfect for this festive season. D Empire is the perfect spot for a relaxing, casual or posh dinner date with friends, families and even your loved ones. 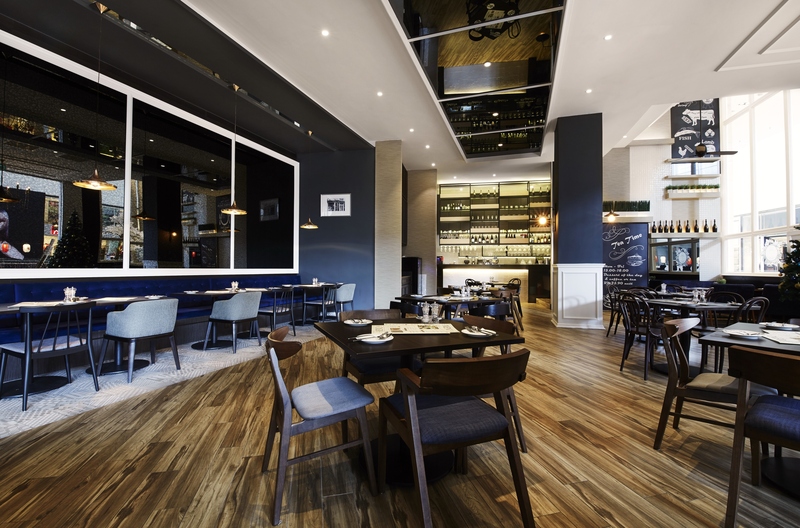 Complementing the shades of rich navy blue, the ombre wooden floors add a warmer mood to the establishment. 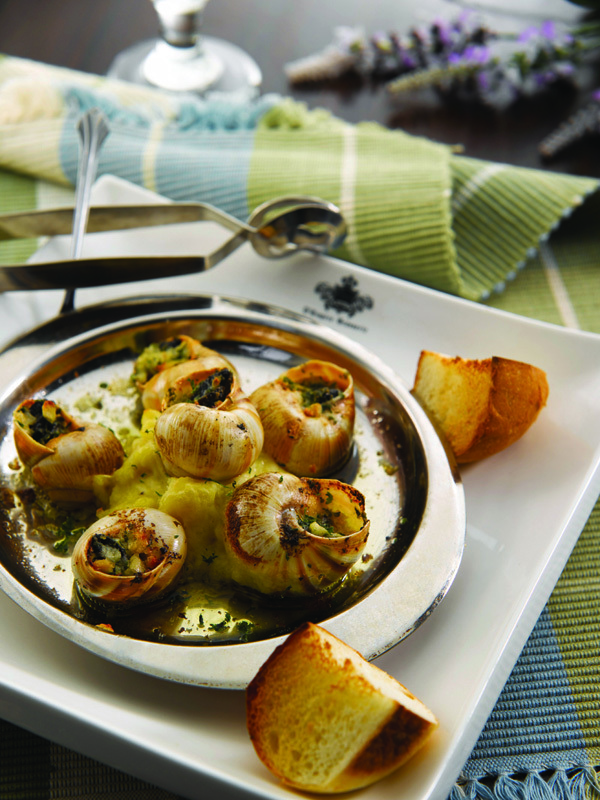 Excite your tastebuds with the classic French Stuffed Escargots Bourguignon – a classic dish with succulent snails, garlic, parsley and unsalted butter. One of the crowd’s favourite, D Empire’s melt-in-your-mouth Salmon Trout is a combination of natural salmon sweetness and soft texture. 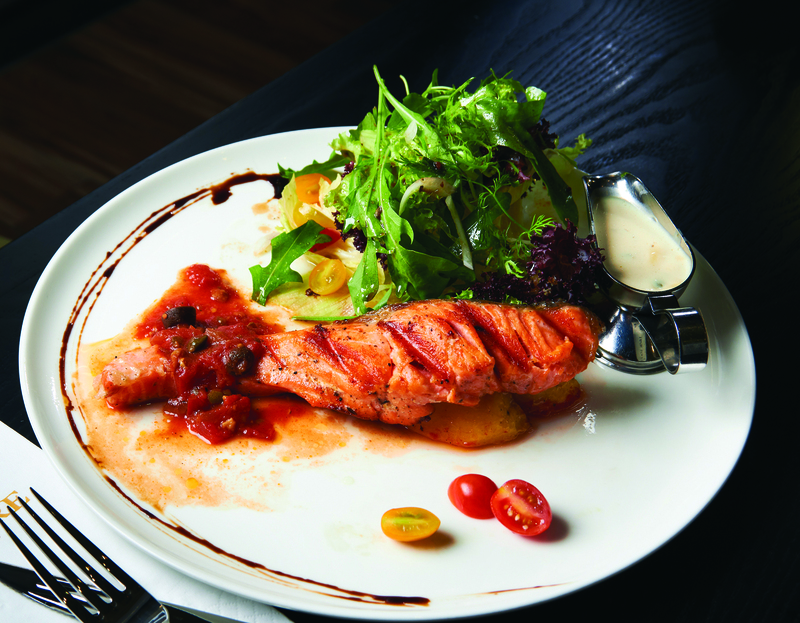 The salmon is served with two sauces – spicy coulis sauce and caper sauce with a side of greens and potatoes. 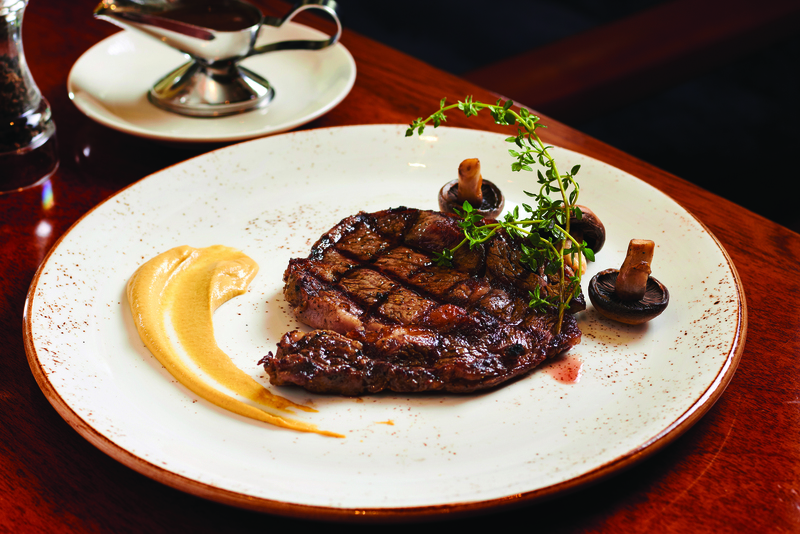 The steaks here are treated with utmost reverence, seasoned with just the right amount of seasoning before being cooked and grilled to perfection. 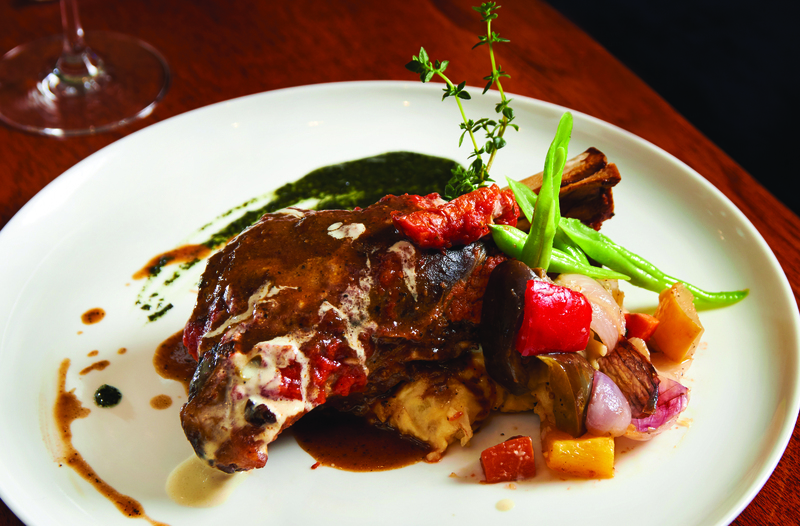 If beef is not your think, go for the restaurant’s signature braised lamb shank. The protein is marinated for at least a day with homemade spices before being braised for 2 hours and served against a bed of seasonable vegetables, homemade mashed potatos and a savoury reduction of lamb gravy. 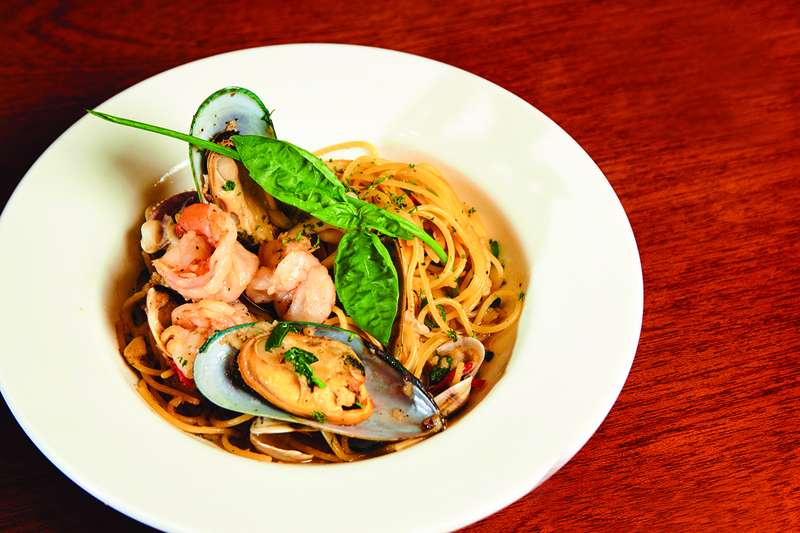 If you prefer something light on the palate, savour the seafood aglio olio doused with extra virgin olive oil base and served with succulent springy garlic prawns. 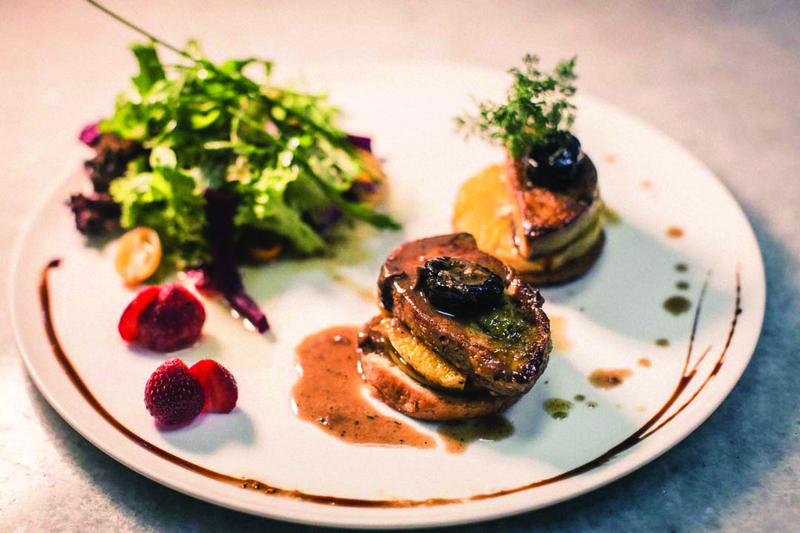 Chef Dallan balances the rich creamy tart flavour of the Foie Gras with roasted citrus components, making it a delightful treat. To end the meal, the chef’s signature dessert – the chocolate hazelnut truffle is an impeccable choice to set your taste buds on a chocolatey sweet yet truffly savoury adventure. 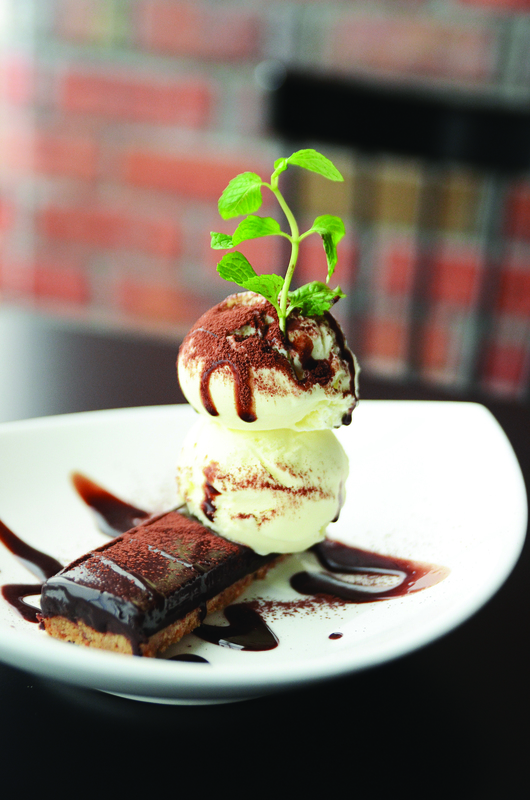 The balance of the dark chocolate and truffle is perfect and goes well with creamy vanila ice cream. For a more exclusive setting, the posh restaurant has a private dining room that can house around 10 pax. Place your reservations by calling +603-2110 6196.